I like where this CS is heading! 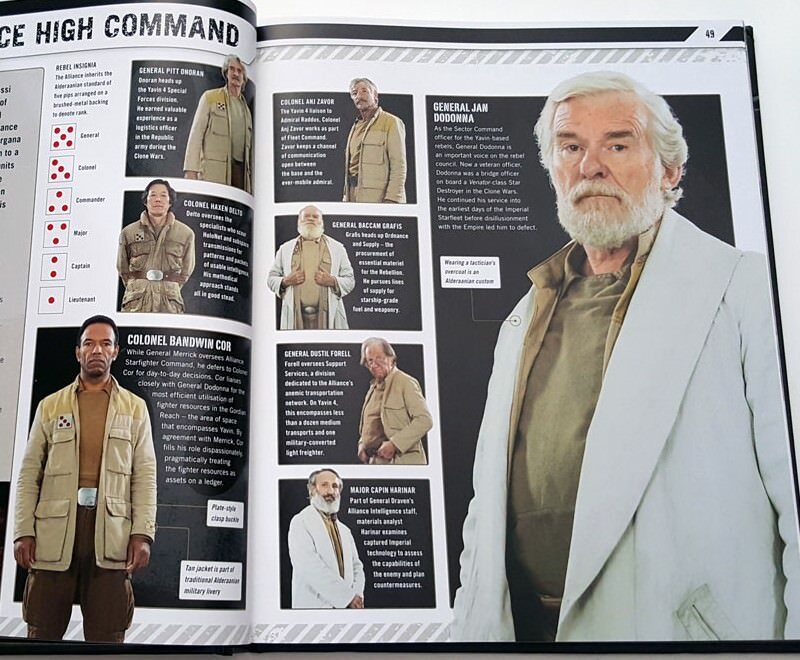 I'd suggest adding ankle cuffs to the chelsea boots as per the Scarif Marine CS. The cuffs on my Scarif boots are 4" tall if the height needs to be included. I'd also suggest adding that the cuff color must match the boot color. O no, I cannot believe that we forgot the ankle cuffs. It is a good thing that so many sets oft eyes are looking over this CS to make sure we do not forget something inportant. Updated to include the cuff for the Chelsea boots. Thanks for that! I totally missed it when I looked at the trooper standards because it's listed separately from the boots. Oops! I also added the padding on the the knees of the pants as an optional detail. Right now it is listed as either the padding or the elastic cuffs, but not both. Thoughts? -Grey-blue, brown, or olive heavy canvas jacket. -Sleeves have “blood stripe” detail (printed, suede, embroidered, or similar) from shoulder to cuff. Darker brown, grey-blue, and olive jackets have tan stripes, and lighter brown jackets have darker brown stripes. -Jacket has a mandarin collar with 6 lines of topstitching on the collar. -The waistband also has 6 lines of topstitching. -There are left and right breast pockets, with a flap on the left-hand pocket only. Pocket should have no visible securing snaps or buttons. -Screen-accurate top stitching and pockets on the front and “action pleat” on the back of the shoulders. -Screen-accurate compad inset above the left breast pocket. -Khaki or brown colored utility trousers. -Pant ankles should be worn tucked into boots/boot toppers. Optional: Cargo-style pockets along the outside of each leg, with top flap, and no visible closure buttons or snaps. Pants may have accurate padding sewn in to knees, or elastic cuffs at the ankles, but not both. -Long sleeved, tan, beige or middle brown shirt with a collar ending in two points. -Front has a rectangular bib with seams on the bottom and both sides which (recommended) continue down to bottom of hem. -Double rows of stitching (flat-felled or similar) in each seam is recommended. -Worn tucked into the pants. PLCE belt in tan or olive. Belt closure should be roll pin-style or silver buckle with accurate greeblie. Optional: silver screen-accurate “energy pellets” tucked into the loops on the belt. Brown belt with octagonal silver buckle consistent with the RFT belts. -Dark brown leather (or leather-like) lace-up combat boots with two matching flaps covering the laces. -Bottom flap of boot has screen-accurate buckle. The buckle’s bail (wire piece) is attached with a loop of leather sewn into the flap. The ‘box’ parts of the buckle are black and the ‘wire’ parts are silver. -No visible zippers, but discrete inside zippers are permitted. -Chelsea-style boot in brown or black leather (can be suede). -Anklet-style cuff that matches boot color. 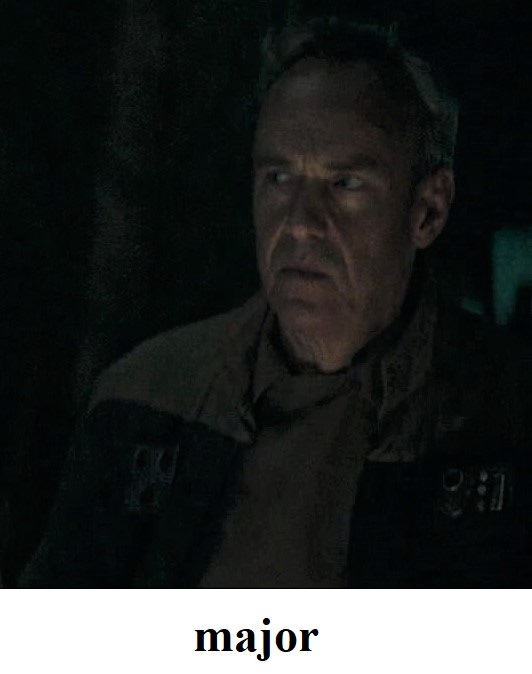 Screen accurate rebel rank badge worn on the right side of jacket, just above breast pocket. Badge should reflect rank of the costumer's choice below General. I like the addition to the pants, allows for the option of doing either style. I went through the references again. I think this should be changed to "below Colonel". The highest ranking officer with this uniform were two commanders. 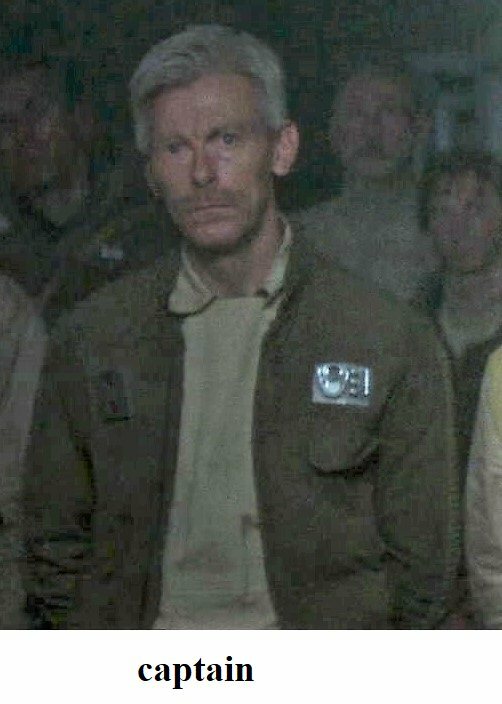 Colonels, generals and navy captains like captain Antilles (rank badge with five blue dots) seem to wear other types of jackets that are similar to the one general Draven, captain Antilles or General Dodona wear the only lower rank that seems to be an exception is captain Kado Oquońe (rank badge with two dots). That's fair. Looks like that's the case. I think the standards will be pretty well set after that update, honestly. Everything seems to be in order, unless anyone has any other notes? We still need to decide if we should add the Cassian Anders style shirt as a second shirt option or not. I think that and the info that all ranks should be below Colonel are only things that are missing or need to be changed. After that the CS is pretty much finished. I think for Officers, the Cassian style shirt should be an option, to further differentiate them from the troopers, and signify their status. And yeah, the rank badge alteration should definitely be made. Updated the rank info, but I did not include the Cassian style shirt because I don't see a reference for it being used for any of the generics. 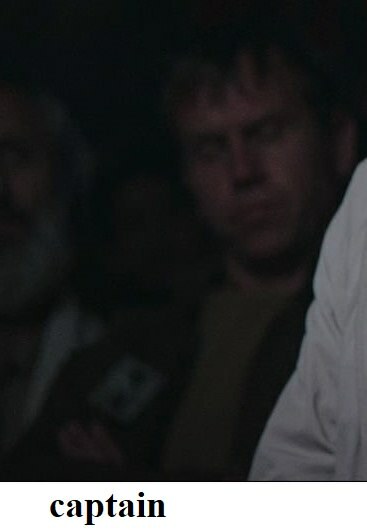 Screen accurate rebel rank badge worn on the right side of jacket, just above breast pocket. Badge should reflect rank of the costumer's choice below Colonel. If you want to be that strict then you also have to leave out the boot option 1 because the only officer that wore them in Rogue One was Cassian Andor. The same thing applies for the holster and the plaster pistol. Sam wanted the holster because there are in cannon proof that officers had plaster pistols with and without visible holsters when they are on a mission. All the officers on Yavin 4 in R1 did not have them. 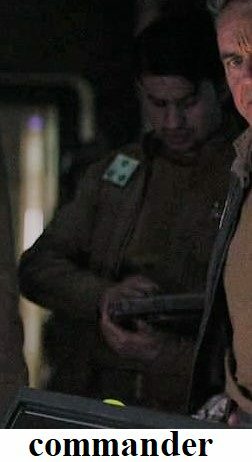 Only Cassian had one but I think that it is due to the fact that he was always coming from a mission or going on one throughout the whole movie. 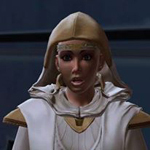 We also have in cannon proof that other heroes of the rebellion and resistance wear the Cassian style shirts. If in cannon proof is good enough then the Cassian shirt needs to be added. If only things that can actually be seen in R1 are proof then the boot option 1 as well as the blaster with holster need to be removed from the CS because none of the generic Yavin 4 officer in R1 are seen with them or at least I have not found them yet. Poll will close on April 15 at midnight EDT. PLEASE VOTE!